I have had an on-and-off relationship with multivitamin supplements in the past. Mostly, I have used them during exam periods at Uni to increase my concentration levels. Now in full-time employment, I had the chance to re-visit multivitamins during a 4-week cycle with this pack. Why are vitamin supplements important? Although it is important to get healthy dose of vitamins and minerals directly from what you eat, an extremely large amount of food would be required to meet all your body's daily vitamin needs. Furthermore, current lifestyles including busy schedules and the ever-present temptation to snack on processed foods means that our bodies are not receiving adequate nutrition. If eating a perfect diet is difficult, if not impossible, the best way to ensure you receive more of what you need to stay healthy can be through the intake of vitamin supplements. 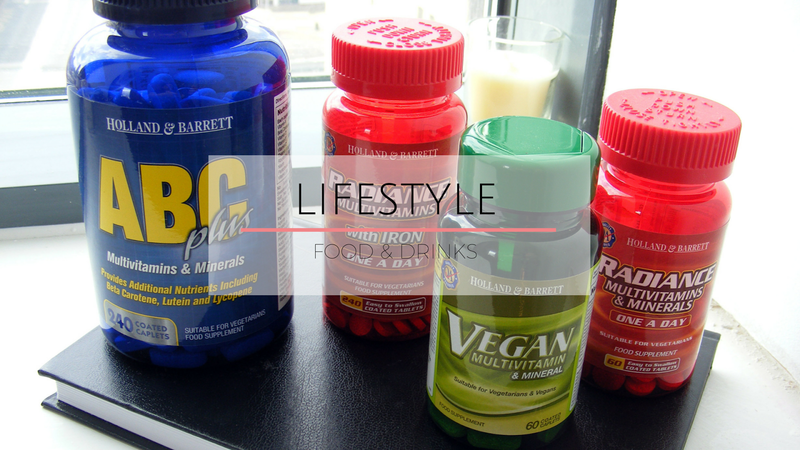 My friends and I had the opportunity to try out a few of Holland & Barrett's own-brand supplements (*) over a four-week period. We all took it for different reasons and all seemed to have different reactions to the products, which just goes to show how different every body is in terms of what it needs to run healthily. When I first started taking the ABC Plus capsules, my skin was dry and my hair was dull from the cold weather, and I always felt out of energy. Within only a few days, I could see improvements to my skin and, by day 10, I finally started feeling well-rested. On my days off, I no longer felt the need to sleep in to make up for a week of work. By day 20, my daily routine consisted of a 9-to-6 office job, at least 1.5 hours at the gym, and then coming home to an intense study session - all on less than 7 hours of sleep. However, my body quickly realized that this was an unsustainable rhythm and shut down. I felt like I had undone all the good progress so far: my sleep pattern became erratic and my memory was failing me - I easily forgot daily to-do's that I previously had no trouble keeping track of. This is when I decided to take a break from both the supplements and this routine. "I started taking Holland & Barrett's Vegan Multivitamin for 1 month, so it is too early to say the long term benefits; although I must say I felt more energetic and alert. I find this product useful in providing the necessary micro-nutrients for my body. As for usability, the tablets are small and easy to swallow leaving no after taste in your mouth. Now that I have started it, and seeing the benefits in my life, I am considering on making a long term investment. Thanks Holland and Barrett for invigorating my everyday!" 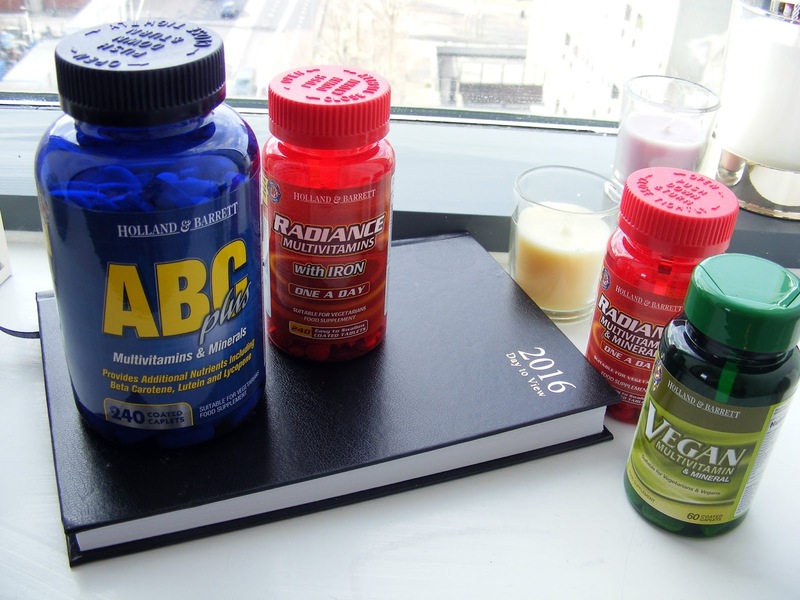 "Having suffered from anemia in the past, I decided to try the Holland & Barrett Radiance Multi Vitamins & Iron One a Day Tablets mainly due to the iron factor. Unfortunately, this vitamin was not for me as I noticed I was suffering from tummy aches on the first few days of taking the tablet which made me go to the toilet quite often. I therefore stopped taking the vitamins after 6 days. Considering 6 days is a very short time to test any benefit from those kinds of tablets, I can only say that this was not an appropriate vitamin for my body." With so many multivitamin supplements out in the market, there is no single best product for you. This will depend entirely on your lifestyle and your body's needs at the time. Whichever products you decide to try, please remember that these are intended as a supplement to your diet, and not a replacement. Interesting post. I'm really glad that you included comments from your friends too. Really great idea and useful too! Hope you're ok!